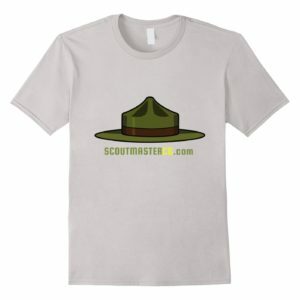 Scouting is camping with your patrol, and one of my favorite ways to go camping is backpacking. Reducing everything you will need to live for a couple of days to what you can comfortably carry on your back is a test of skill, and planning ; it challenges our moral, physical and mental abilities. Don’t be put off by the logistics, start with trips designed for success. 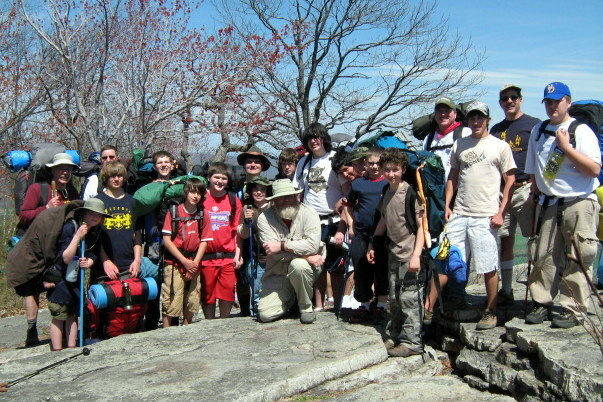 Leading a good backpacking trip begins with tailoring the route to the ability of the group. 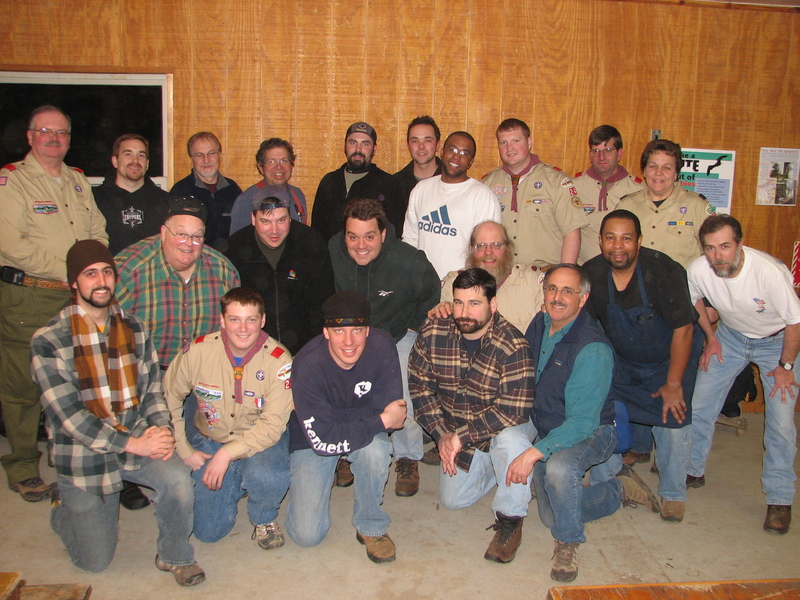 Mileage for mileage’s sake leads to an ordeal of endurance that Scouts may not want to repeat. 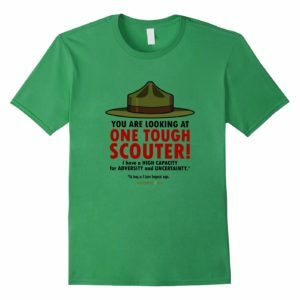 Better to have the Scouts eager to challenge a longer hike or a tougher trail than feel reluctant to try again. Make this happen for your Scouts, you’ll never look back! 2009, on the Appalachian trail in Pennsylvania again, the pinnacle is a favorite destination for our backpacking trips. 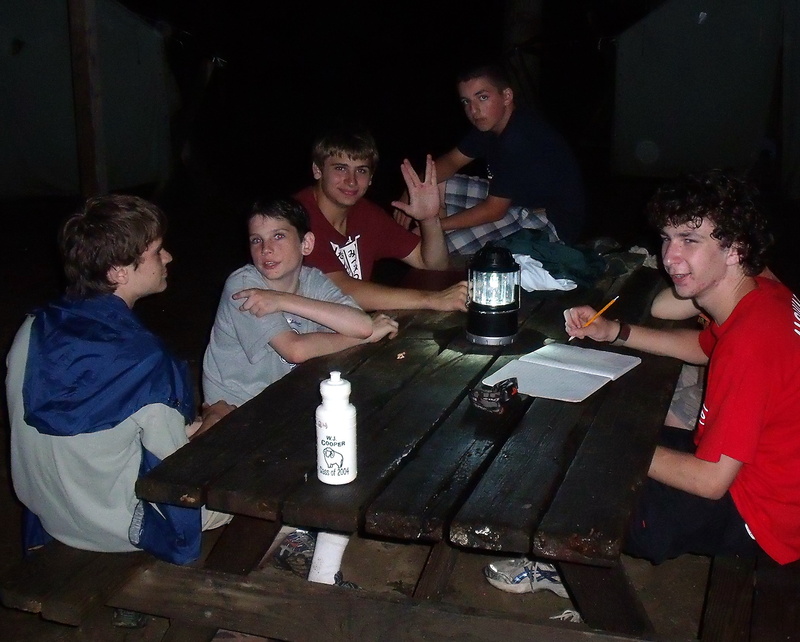 When I became a Scouter I knew that backpacking was an exciting, skill building, Patrol strengthening, activity for my Scouts. 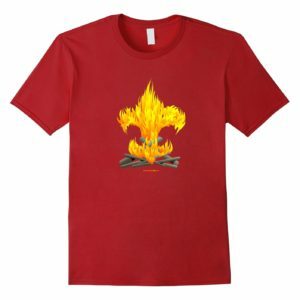 We’ve been backpacking at least once a year since I became our Scoutmaster in 1984. This infographic measurement instructions and basic information on choosing the right backpack. The most important thing about a choosing the right backpack is getting a proper fit. To carry correctly and comfortably a pack must fit both torso length and hip size. Torso length is measured along the spine between the base of the neck and the top of the hips and hip size is measured around the top of the hips, (don’t confuse this with waist size). Andrew Skurka’s new book The Ultimate Hiker’s Gear Guide will change the way how we sling a pack on our backs and hoof it into the wild. Skurka’s stunning 30,000 miles of trekking over the past decade have resulted in The Ultimate Hiker’s Gear Guide. His writing is as focused, practical and essential as his twenty pound pack – there’s nothing in it you don’t need. Measures to assure a successful experience are not elaborate or restrictive – indeed they are quite simple. 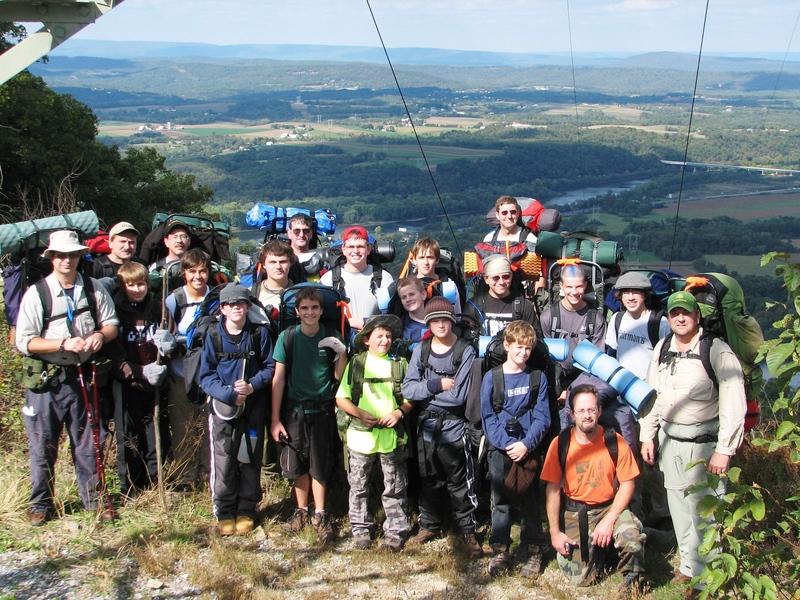 Scoutmasters can help their scouts plan and lead safe hikes and backpacking trips without removing the challenge and adventure by using these resources. Here’s some advice from one of my old Scouts, Wade Bastian, on the Appalachian trail gear he carried on his hike. Andrew has probably hiked more miles than most of us have driven a car. Two of my old Eagle Scouts who headed out for a hike last week. Bucky Kellorg and Wade Bastian join me from their “zero day” about fifty miles into a 2000 mile quest to reach the end of the Appalachian trail on Mt. Katahdin in Maine. Hear an unvarnished account of their first backpacking trip and how it relates to their present challenge. I hope you have as much fun listening as I did talking to them! From a third of the way through their quest to complete the 2000 mile Appalachian Trail. 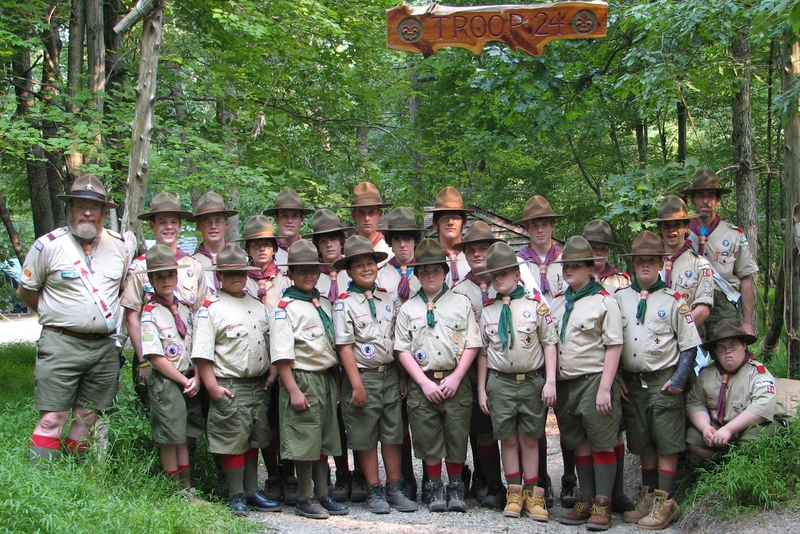 Wade “Nutshoe” Bastain, Bucky “No Name, Buckminster” Kellorg, and their fellow Eagle Scout and hiking companion “Bear” join us from southern Virginia to relate their latest adventures along the Appalachian trail. Calling something ‘the best’ is different from calling something ‘perfect’ and that’s never more true than when I evaluate camping gear for Scouts. The ‘best’ gear has the best set of features for the best price, and the Teton packs meet the test. Three decades of taking Scouts backpacking have taught me that most important things about a Scout’s backpack is a proper fit and that it can be adjusted as a Scout grows. A top-of-the-line $400.00 backpack that doesn’t fit properly or grow along with a Scout is not only a waste of money, it’s going to be so uncomfortable a Scout will think twice before he goes backpacking again. The Teton Scout 3400 adjusts from 15 -19.5 inch torsos (for people up to 5’9″ in height) and 26-60 inch hips, the Teton Explorer 4000 fits 16-23″ torsos and 26-70 inch hips. This broad range of adjustment virtually guarantees a Scout can use these packs through his Scouting years and into adulthood. The shoulder straps, hip belt and back pads form the suspension system. 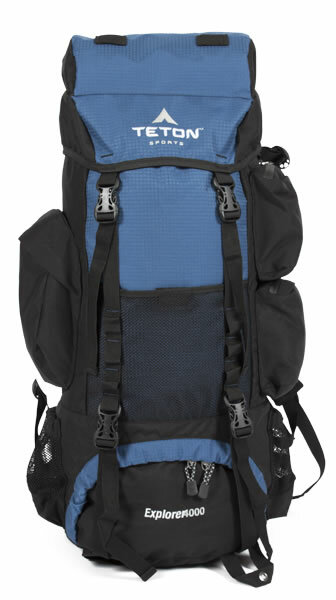 A proper suspension system includes a lumbar pad, ergonomically curved shoulder straps, a sternum strap, and load adjusting straps, all features of the Teton packs. Both Teton packs have side pockets, in my experience Scouts better organize, access, and pack their gear with side pockets. There’s space behind the side pockets on the Explorer 4000 to stow tent poles or other long items, on the Scout 3400 there’s provision for long items in the main compartment by unzipping the side of the divider between the upper and lower compartments. Both have zippered pockets in the lid, a mesh pocket on the back and two water bottle pockets at hip level. There are compression straps help stabilize and compress the load so the pack carries properly. Both Packs have an upper and lower main compartments. Traditionally the lower compartment is for the sleeping bag, but the less expensive sleeping bags Scouts are likely to own may be too bulky to fit. In that case I recommend packing the sleeping bag a stuff sack, putting it in in the top main compartment and putting other gear in the lower compartment. 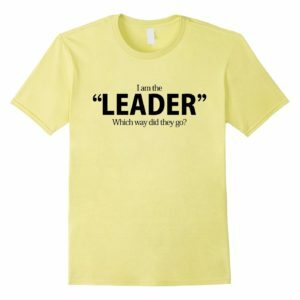 WHY ARE THESE THE ‘BEST’? Outfitting a Scout for backpacking can be expensive, and a proper pack is a big part of that expense. At this writing the Scout 3400 is $60.00 and the Explorer 4000 is $80.00 on Amazon; excellent prices for packs with these features. Naturally these aren’t just used for backpacking, they can carry gear for just about any camping trip. These packs are a little heavy (The 400o weighs 5 pounds and the 3400 weighs 4.5 pounds) a lighter weight pack may be more expensive. After spotting these packs online and reading reviews I requested and received them from the manufacturer for evaluation. 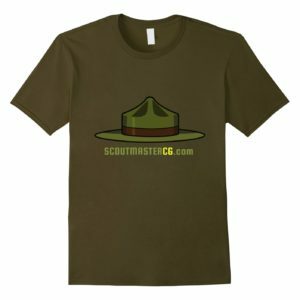 ScoutmasterCG Newsletter 1 – Why Scouting?